If I were to sell Sinait as a tourist destination, I could only think of two things to bring guests — the beach and the Sto. 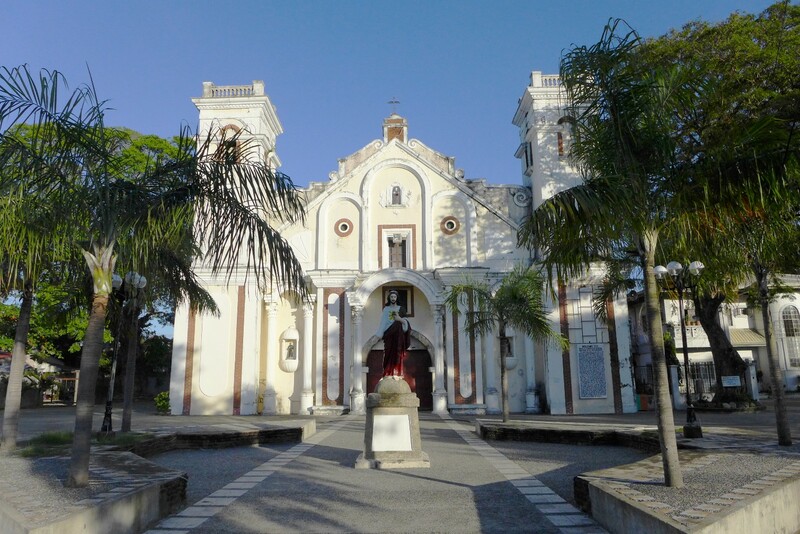 Cristo Milagroso church. Unfortunately, I wasn’t able to visit the beach during my last visit, but you can check out this post. Let’s talk about the church here. It was believed that two boxes were found at the sea near Sinait and Badoc, one big and one small. When the Badoc fishermen tried to get the bigger box, they found it too heavy. However, when the Sinait fishermen took their attempt, they easily retrieved the box. On the same token, when the Sinait fishermen tried to grab the smaller box, they found it difficult. When it was the Badoc’s fishermen’s chance, they didn’t find it as a daunting task. So the two groups went home with each of their boxes – the smaller one turned out to be a sculpture of Mama Mary, while the bigger box contained the Nazarene. It was another busy day at the house, but that afternoon I decided to drop by the church. After all, it was barely a minute’s walk away. The façade had gone past its glory days and its walls needed a fresh coat of paint. The front doors were closed, but as churches usually kept their side doors open, I tried my luck. It proved to be a wise move. The church was empty though. Not a soul was inside. It gave me the creeps to realize I was the only one standing inside the church. For some strange reason, I haven’t been alone in one. It didn’t help that the church wasn’t well-lit, but it would really be an insult to God if I feared ghosts at such a holy place. The church was narrow, but it had a long aisle leading to the altar. On the main altar was the miraculous image of the Sto. 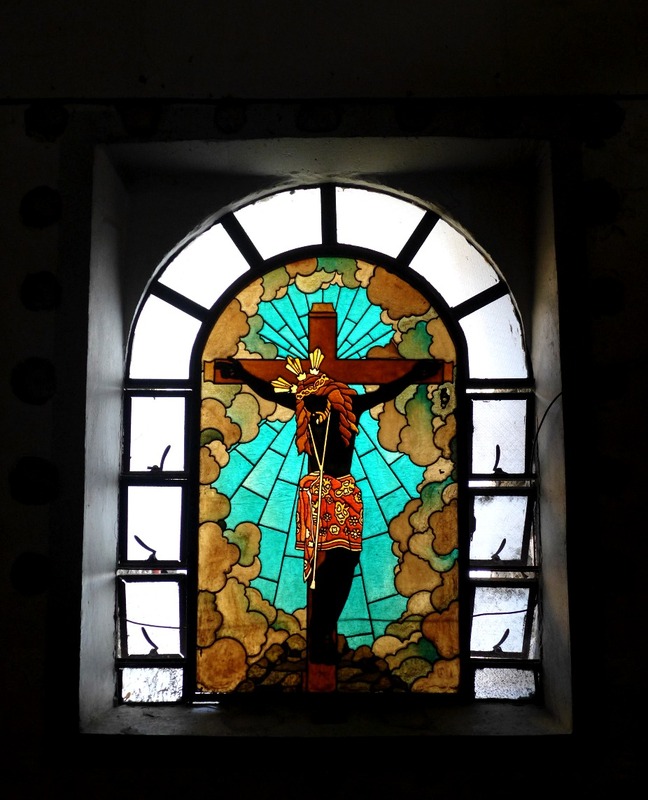 Cristo, which to an unassuming visitor was nothing out of the ordinary. The rest of church’s qualities were typical of most old churches — very thick walls, big windows and murals on the ceiling. There’s even a pulpit, yet I doubt if it’s still being used at present. The floor tiles were sparkling and new. Outside, the brick arches lead to you to a site where you can offer candles. The pocket garden was clean and appeared landscaped. 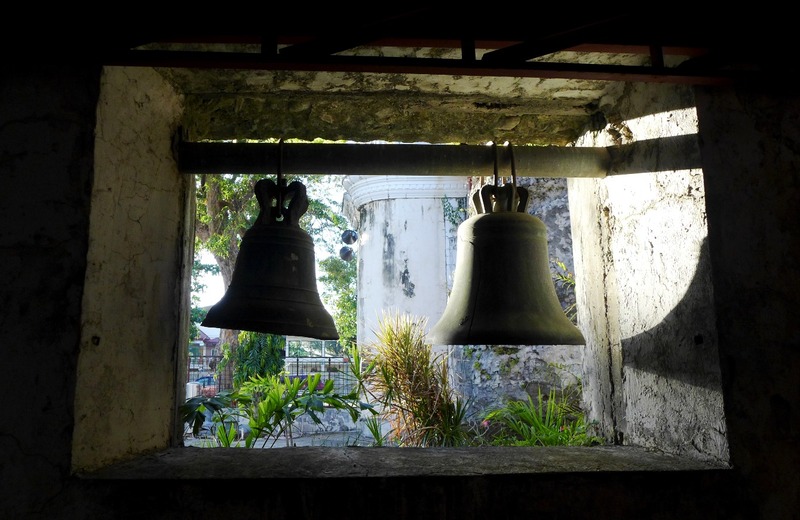 Old bells were displayed on the floor. Directions leading to the Sto. Cristo, where devotees can do agep, a practice of touching or kissing the image, are placed everywhere to aid visitors. I do not know if someday the Sto. 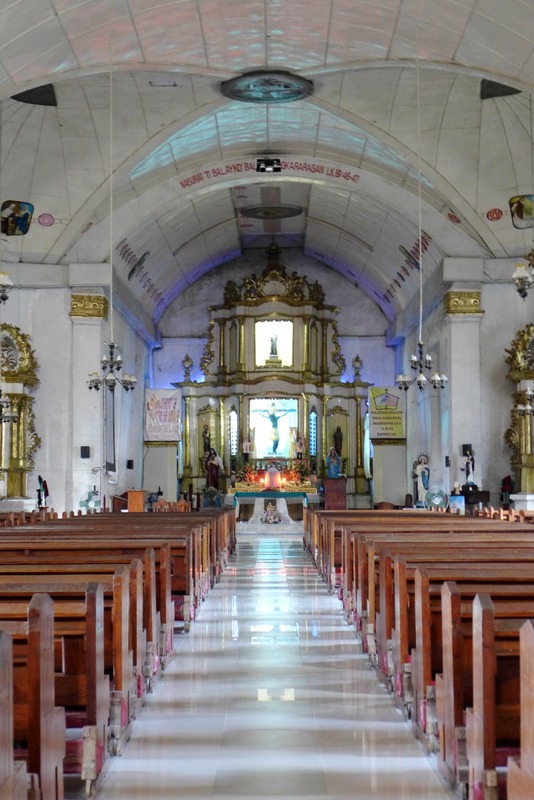 Cristo Milagroso church will draw as many visitors as those in Manaoag or in Cebu. 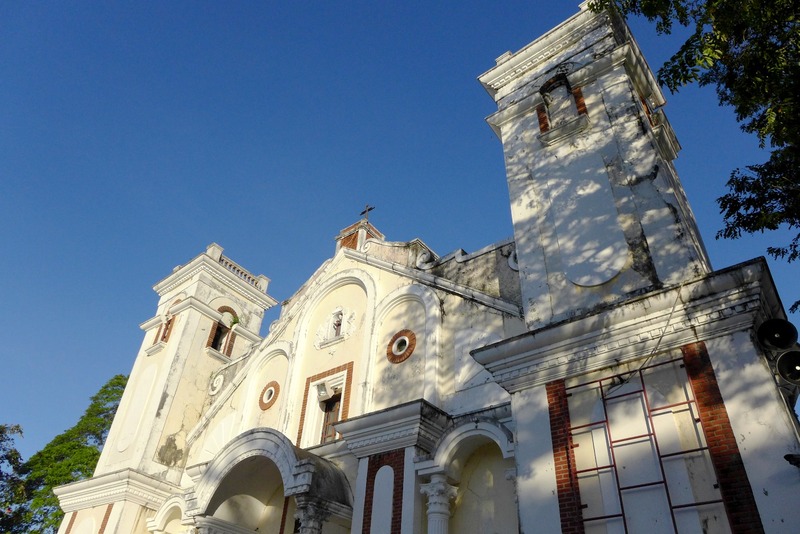 Yet, if you happen to be on the Ilocos route (or if you are religious enough), find some time to drop by this church. After all, it’s not called milagroso for nothing. Until the next travel tale, happy travels!